Interpreter George Drouillard met Lewis and Clark when they stopped at Ft. Massac, Illinois, in November 1803. They engaged Drouillard as an interpreter and dispatched him to South West Point near present Knoxville, Tennessee. 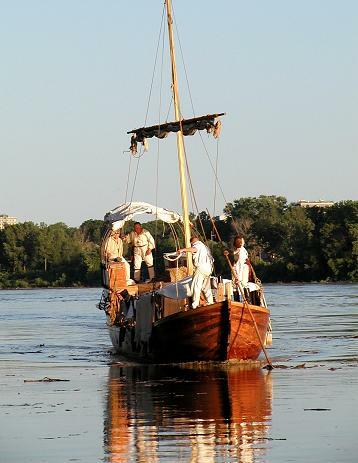 who were needed to get the keelboat and two pirogues up the Missouri in 1804. Once the Expedition was finally underway in May 1804, Drouillard soon established himself as the Expedition's premiere hunter and scout. His wilderness skills underwent their first severe trial when he was out hunting with Private John Shields, another woodsman of rare skill. A week of heavy rains had turned creeks into rivers. For seven days the two men built one makeshift raft after another as they waded and poled themselves through a soggy landscape to catch up with the Expedition. It wasn't until early August that Drouillard's sign language skills were needed when the Corps contacted their first Indian nation, the Otoes. at about the same time Drouillard was also among the men sent to capture the two deserters, Moses Reed and La Liberte. During the 1804-05 winter among the Mandans in North Dakota, Drouillard was one of the busiest men in the Corps, between hunting and interpretation among the several tribes who were in the area. in the spring and summer of 1805 as it moved slowly up the Missouri in Montana. It didn't take a George Drouillard to kill meat then, and it came in many forms. On April 12th Drouillard shot a beaver that was swimming in the river during the day. 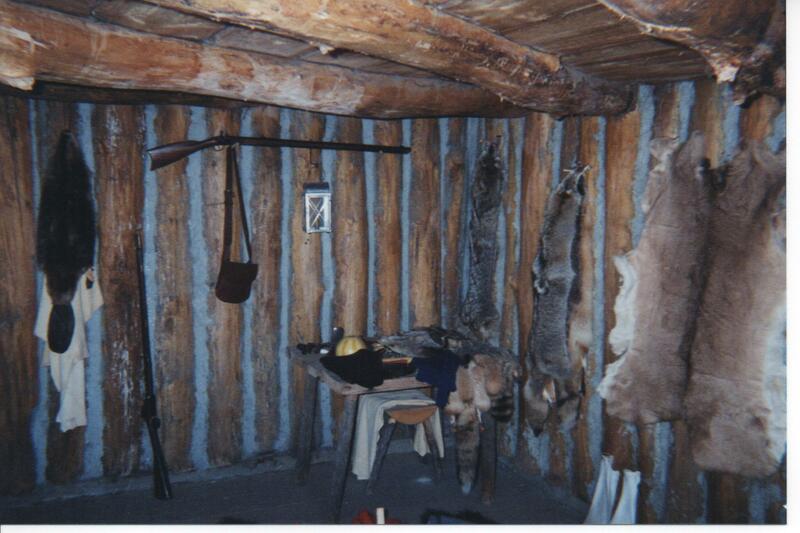 Rather unimpressive as far as hunting goes, but of great interest to trappers, according to Lewis. Beaver aren't out during the day when they're being trapped or hunted. Three weeks later Drouillard shot one of the first grizzlies, three weeks later a bighorn sheep. Twice that spring Drouillard baled Toussaint Charbonneau out of a jam. On April 13th he righted the pirogue that almost capsized when Charbonneau failed to remember what the tiller was for. On June 2nd, he shot a bear that was after Sacajawea's husband, who shot his gun in the air and scampered into the bushes. Drouillard shot true, depriving Charbonneau of the opportunity to adequately test his approach. Perhaps Drouillard's most single important interpretive job was performed in the Lemhi valley from August 13th to 15th. portage the continental divide at Lemhi Pass. Drouillard remained with Lewis and the larger portion of the Corps at the forks of the Beaverhead River while Clark and his detachment scouted the Salmon River. Here at the headwaters of the Missouri game was much scarcer than it had been on the plains. Lewis needed his best hunter. Drouillard was perhaps the only member of the Corps to have an unpleasant encounter with the Lemhi Shoshone (August 22, 1805). Drouillard was hunting in Shoshone Cove [Horse Prairie] when he came upon a small Indian camp. There were three women and three men. Drouillard dismounted and sat down to visit in sign language. Soon the Indians decided to leave and Drouillard went to get his horse, leaving his rifle in the camp. The temptation was too great. A Lemhi man grabbed the gun and they all jumped on their horses and galloped away. Drouillard had pursued them for ten miles when their horses began to tire and was able to wrestle his rifle away from the man who had stolen it. He returned to the Shoshone camp and took everything he could carry away, including several elk skins, several grass bags of dried berries and roots, and some pieces of obsidian. The most famous Indian conflict of the Expedition. This little known episode foreshadowed the most famous Indian conflict of the Expedition. This was the fight with the Blackfeet near the Marias River on July 27, 1806. For a second time Drouillard foolishly left his rifle where an Indian could grab it. Drouillard saw him take it and shouted, ?Damn you, let go my gun.? The shout wakened Lewis, but probably was not understood by the would-be robber. Drouillard was very quick and in a instant was on the Indian and wrestling him for the gun. He needed both hands in the tussle and was thus not able to say, ?Damn you, let go my gun? in sign language. Drouillard got his rifle, but Lewis would not give him permission to shoot the Indian. Drouillard's final mission for the Corps was the delivery to the post office at Cahokia, Illinois of the first letters written by the officers to President Jefferson. He also purchased from privates Whitehouse and Collins the rights to the future land warrants they would receive from the government as additional compensation for their service on the Expedition. A year later he sold the warrants at a handsome profit and was named by two of Manuel Lisa's fur company partners as their field representative. The spring of 1807 found Drouillard and his former Corps colleagues John Potts and Peter Weiser headed up the Missouri with Lisa's first expedition. In an odd reprisal of his recovery of deserter Moses Reed in 1804, Drouillard tracked another deserter and killed him when the man refused to return to the party. He was eventually tried for murder and acquitted. During the winter of 1807-08 Drouillard traveled through the land of the Crow Indians in the Big Horn Mountains. When he returned to St. Louis, his knowledge of the area was added to Clark's map of the West. In 1809 Drouillard returned to the mountains as an employee of the Missouri Fur Company, whose partners included Lisa, Thomas James and Andrew Henry. James was a member of the party who ventured into the headwaters of the Missouri and ran afoul of the Blackfeet and Gros Ventre. And it was James who described what they found when George Drouillard failed to return one day from checking his beaver traps: "Druyer [sic] and his horse lay dead, the former mangled in a horrible manner; his head was cut off, his entrails torn out, and his body hacked to pieces. We saw from the marks on the ground that he must have fought in a circle on horseback, and probably killed some of his enemies, being a brave man, and well armed with a rifle, pistol, knife and tomahawk." The bloody pieces of what had been George Drouillard were hastily buried in an unmarked grave.